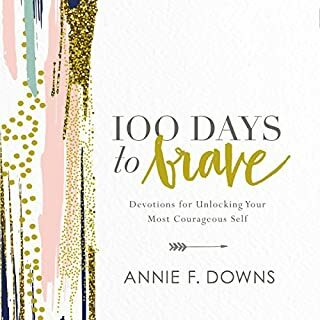 Whether you're making a major decision, dealing with a difficult transition, or facing a fear, 100 Days to Brave will give you courage and confidence to move forward. Annie F. Downs felt her challenges were too difficult, too scary, too much. Then she decided to stop allowing fear to hold her back. It wasn't easy or simple. But it was good. With honesty and relatable humor, this compilation of best-of writings and new pieces from Annie will give you the inspiration to embrace the path and the plan God has for you and experience personal growth. I will hold myself to a standard of grace, not perfection. As a busy wife, new mother, business owner, and designer, Emily Ley came to a point when she suddenly realized she couldn't do it all. She needed to simplify her life, organize her days, and prioritize the priorities. She decided to hold herself to a standard of grace rather than perfection. This mantra led to the creation of her best-selling Simplified Planner®, a favorite among busy women everywhere. Cold Tangerines is a collection of stories that celebrate the extraordinary moments hidden in our everyday lives. It is about God, and about life, and about the thousands of daily ways in which an awareness of God changes and infuses everything. It is about spiritual life, and about all the things that we have called nonspiritual life that might be spiritual after all. 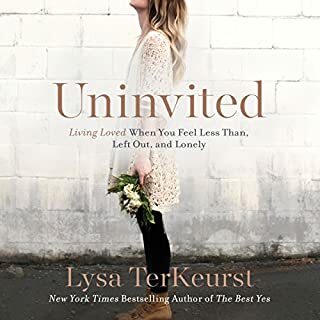 In this daily devotional, Shauna Niequist becomes a friend throughout the audio, sharing her heart with yours, keeping you company, and inviting you into the abundant life God offers. And there are recipes, too, because spiritual living happens not just when we listen and pray, but also when we gather with family and friends over dinners and breakfasts and late-night snacks. These recipes are Shauna's staples, and each one should be enjoyed around a table with people you love. A collection of essays about what change has to teach us and the ways God uses the changes in our lives to shape, challenge, heal, and remake us. 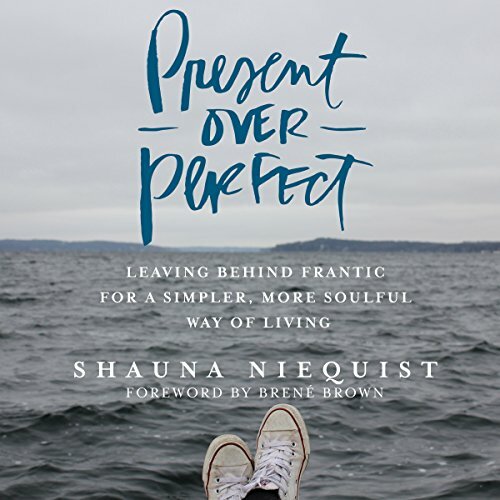 In this book, New York Times best-selling author Shauna Niequist invites you to consider the landscape of your own life, and what it might look like to leave behind the pressure to be perfect and begin the life-changing practice of simply being present, in the middle of the mess and the ordinariness of life. As she puts it: "A few years ago, I found myself exhausted and isolated, my soul and body sick. I was tired of being tired, burned out on busy. And, it seemed almost everyone I talked with was in the same boat: longing for connection, meaning, depth, but settling for busy. I am a wife, mother, daughter, sister, friend, neighbor, writer, and I know all too well that settling feeling. But over the course of the last few years, I've learned a way to live, marked by grace, love, rest, and play. And it's changing everything. Present Over Perfect is an invitation to this journey that changed my life. I’ll walk this path with you, a path away from frantic pushing and proving, and toward your essential self, the one you were created to be before you began proving and earning for your worth." In Shauna's warm and vulnerable style, this collection of essays focuses on the most important transformation in her life, and maybe yours, too: leaving behind busyness and frantic living and rediscovering the person you were made to be. Present Over Perfect is a hand reaching out, pulling you free from the constant pressure to perform faster, push harder, and produce more, all while maintaining an exhausting image of perfection. This book follows a current theme of blog writers attempting to write books that often turn into extremely long blog post that seem to get lost in themselves. Another reviewer commented that it seems like a diary that has simply been put into book form, and I think that's accurate. The book Manders and drags on and many parts and leaves me baffled at the good reviews. I had a hard time relating to much of what was said including an upscale School having a beach house and it just a life that is only hard because the author feels like having a hard life. It's clear that most of everything that the author struggles with can be dropped unlike my own life or, I'm guessing, the life of many other readers. I have to wonder if most of the good reviews are simply people were already fans in the blog and read the book knowing what they were going to get. I struggled to finish the book, many parts of Simply seem to drag on with unnecessary descriptions. And one part the author even talks about how they are having trouble finishing the book. Clearly, placing emphasis on word count in book length is not a good way to create a readable book. The author seems like a really good person and I'm likely to check out her blog, however this book was dreadful. 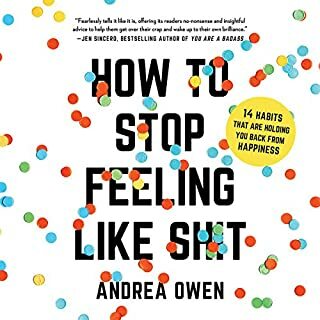 If you want to hear an entire book about her “humble bragging” accomplishments and her extravagant life- mixed with a handful of random babbling that makes no sense and has no direction, with uncertainty about which religion she associates with (she mentions going to temples, rabis, pastors, spiritual director, cathedrals..) - then this is the book for you! Honestly this book is written for wealthy stay at home trophy wives who brag about all “the hardships” in their life like going on extravagant retreats and vacations to Hawaii... also, this book is SO random... she goes from talking about “don’t say yes to everything” to “say yes to everything!” And then, randomly includes stories about her friends affairs and just all around I don’t recommend this book. I guess I expected more of a self help book or tips, advice, something...but what it is, in fact, is her telling us about her experiences and it really felt like reading someone’s personal journal. There were a couple of golden nuggets in there but I wasn’t really caught up in it enough to recommend to my book club or anyone else for that matter. I also was concerned about some of it not settling right with me...like I really felt like the spiritual part was not of sound teaching and could lead people the wrong way. Just my opinion. I do not recommend this book. Some basic thoughts and ideas were good but were presented in such a rambling way the book was unenjoyable. First off, I resent that it is filled with so many references to Christianity and nowhere in the summary does it say that this book leans so heavily in that direction. I don't have a problem with books about religion, in fact most of the books that I read pertain to religion. But I want to make the choice as to which type of religion I'm reading about and I feel that if someone is quoting Biblical scripture, then it would be nice if the reader knew that going in. Second, I could only get to chapter 9, before I became so sick of listening to this upper middle class woman complain about how unsatisfied she was. She has complained about not knowing whether to have the housekeeper come more often, about sitting by the pool with friends and not having enough time to see friends more, too many travel plans? This has to be one of the most ungrateful people I have ever had to listen to.. Less than 10% of the world's population has enough food, shelter, education, time and money to even PONDER our place in the universe and I am supposed to feel sorry for someone who isn't grateful enough to thank God or the universe that she doesn't have to work 3 minimum wage jobs and still doesn't have enough to feed her kids. I just can't listen to anymore but would love to get my time back. Following the extremely inspirational audiobook, Why Buddhism is True, I was really looking forward to a story (true or not) that would help guide me in my quest to be present. I searched through blog posts, friend recommendations and similar audiobooks to aid my quest. When I came upon Present over Perfect, I thought I had found what I was searching for. I eagerly begun the audiobook with my wife as we started our four hour road trip across the state. After roughly the two hour mark we stopped the audio for a quick discussion. Neither of us could ‘get into’ the story and found the material uninteresting. Now I admit this could potentially be a product of my assumptions, expectations and personal situation but I was still bummed out. We found it really hard to relate to the content and author and, instead of forcing something that clearly wasn’t there, we stopped listening. I soon after returned the audiobook for a refund and chose another title. 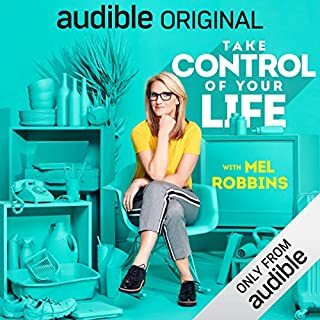 I’m sure the message in this audiobook will resonate with others on a number of different levels but for my wife and I, it did not. What would have made Present over Perfect better? The whole concept of the book can be summarized in a few paragraphs. Instead the author goes on and on and on with metaphors and imagery that is really not necessary. What was most disappointing about Shauna Niequist’s story? The author wants us to believe that she is slowing down yet she tells us the story of how she writes a book, attends church, has speaking engagements, goes out with friends, speaks daily to friends... it's exhausting! And my goodness the whiny voice! Too much. Am I the only one who is tired of these bloggers wannabe writers who over flourish/over complicate their language when what they really say is simple? SHe talks about the tenderness of a conversation.... what???? Somewhat repetitive; a lot of "I"
I listened to this book straight through on a road trip. It might better be consumed a bite -- or essay -- at a time. From the beginning, I identified with so much Niequist had to say, and I've already taken many if the steps she suggests to transform my life. However, I can understand how some other reviewers couldn't identify with the lifestyle, opportunities, and choices she presents. I have friends without college degrees working minimum wage jobs to help support the family that would have a hard time relating to the author's life. On the other hand, reading the book for them could spark imagination and broaden their thinking about possibilities in their lives. On another note, the Niequist's delivery of the Audible version reminded me of Brene Brown. Brown, however, has the benefit of being able to intersperse personal anecdotes and realizations with stories from her research, so listening at length doesn't become tiresome. And she's more humorous and laid back in her delivery. Overall, a good book in smaller doses than I took. Loved the whole concept of this lovely book. To be honest, it felt like it was mostly her telling her story, which was nice. Yet- there wasn't a ton of help for the listener. I wanted to be guided, not just listen to author share her story. seriously LOVED hearing the author read her own words. i felt like she was snuggled up next to me with a cup of hot coffee, compelling me to listen closely. i finished last night and am restarting this morning. it's that good. 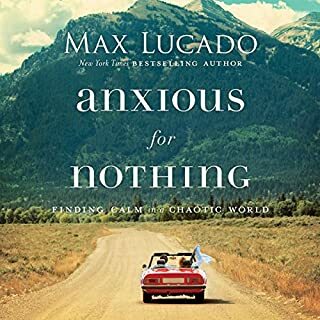 So loved this book I've been playing it over and over in my car letting it's powerful yet gentle message wash over my weary soul. Thank you Shauna for penning such a honest and personal journey to a different life. I am grateful and forever changed. Want a slower paced but more meaningful life? This book is a must-read. It has changed so much of how I see things. This book I believe was Beautifully written. Such poetic but truthful words that Shauna uses. It was food for my soul and I'm inspired by it! This book was great in regards to the overall message. It was beautiful written too. Unfortunately i started to disconnect when it started being too God-centric. As an atheist i found it off putting to have everything referred back to God. Rather than a chapter, it's a theme that is persistent throughout which stopped me really enjoying the book. It reminds me of R Brown's Power of Vulnerability - which i LOVED! My favourite quote: I'm creating a soul, and a family. Loved listening to this book! For most of this listen, I felt that Shauna had jumped in my mind and read it; and in the same vein I know that it is to be the key that unlocks the battles that I face. I have purchased the paperback copy so that I can spend more time with its contents and also researched other resources to support my personal development. I cannot recommend highly enough. I adored this book. I think it should be compulsory reading for Christians! I love that she is honest but without being preachy - she is just sharing her story and what she has learnt. There were so many ‘Yes!! You are so right!’ moments. I have been recommending this to everyone. A story of the triumph of letting go in a world which tells us that identity is found when i live out of anxiety and fill my time and my space with stuff. A little flowery with words. She has a very expressive way of explaining things and the language is beautiful, however my personal taste leans more towards deep meaning rather than pretty words. I appreciated many parts of Shauna's story and will probably listen to it again in the future, but I'm not so much of a whimsical person and was looking for a simpler, more practical book. More an experience than biblical truth. She has a mix of Christian, Catholic and Jewish believes. A beautiful book with a simple yet often untold story (or one regularly muted by ones self or others), this book was calming, enjoyable, and heartening, and as such provided courage to breath deeply and stay the course with ones own choices. 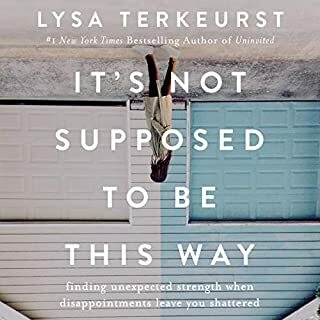 A few bumps in a chapter or two in the middle of the story were momentarily not my cup of tea, but I could see their point and it was so worth staying the course. Share widely with those you love. that slushie machine story... wow! i dont have kids. i dont have a partner. but i can relate yo it so much in reference to my busy work life. bending over backwards for my jobs. Thank you Shauna Niquist for putting pen to paper in such a raw and vulnerable way. I have no doubt I'll come back to this book a thousand times through out my life!